I make a lot of sugar cookies because everyone in my family loves them. But, I decided to change it up a bit this time and make chocolate sugar cookies. What? I don’t think I have ever had a chocolate sugar cookie. Have you? I’ve had plenty of brownie cookies, but this one is different. It truly is a chocolate flavored sugar cookie. In the bowl of an electric mixer fitted with the paddle attachment, beat butter and sugar on medium speed until light and fluffy, 2 minutes. Add eggs and vanilla, and beat to combine. Reduce speed to low and gradually add the flour mixture; beat to combine. Form dough into a flat disk and wrap in plastic wrap. Chill until dough is firm, about 1 hour. Preheat the oven to 350 degrees. Line baking sheets with parchment. Roll dough into 1 1/4-inch balls. Roll each ball in the sugar. Place on prepared baking sheets about 1 1/2 inches apart. Bake until set, about 10 to 12 minutes, rotating halfway through. Start checking at about 8 minutes. 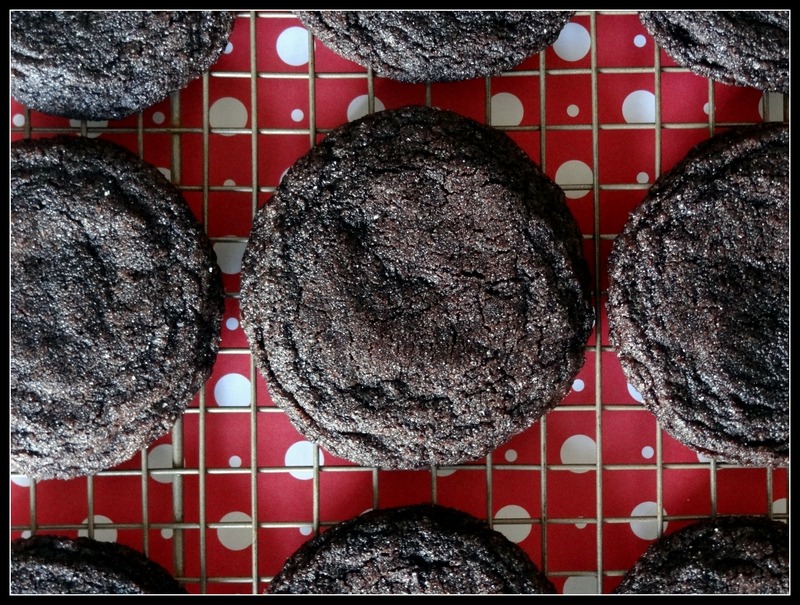 These are dark cookies so it can be hard to gauge when they are done. Pull them out a bit underdone and they will finish cooking on the sheet. Cool on baking sheets for 5 minutes before transferring to a wire rack to cool completely. Cookies can be stored between layers of parchment in an airtight container at room temperature up to 1 week. Thanks for sharing Grammy’s treasured recipe here. I do love Dutch chocolate so this is probably one worth putting in the cookie jar! Saving this one-no doubt a winner-yum! These look delicious! One question though…I don’t have Dutch cocoa but I do have Hershey’s unsweetened cocoa. Would it taste okay if I used that instead? Hey KL! Unfortunately, from what I have read, if dutch cocoa is specified in the recipe, it cannot be interchanged with natural because it can upset the chemical balance in recipe and they may not turn out. These cookies are so super good (even my chocolate hating husband loves them) I would hate to have them fail on you. Would these be okay to use a cookie cutter on? I am not a huge fan of regular sugar cookies, so this sounds like a delicious alternative. Hey Emily. I don’t think they would hold their shape if you use cookie cutters. The top of them also cracks a bit. I haven’t made them in awhile, but if I recall correctly, the dough is kind of sticky too. If you try it, let me know how they turn out. I came SO close to making these cookies today. I flipped through Martha’s cookie book and decided on Mocha Shortbread instead. They were so disappointing 😦 And now I really want these cookies!!! Oh no! These are some of our favorites! I don’t make many recipes more than once, but this is one I’ve made again and again. Even my chocolate hating husband loves them. I love Martha, but her cookie book has been hit or miss for me. 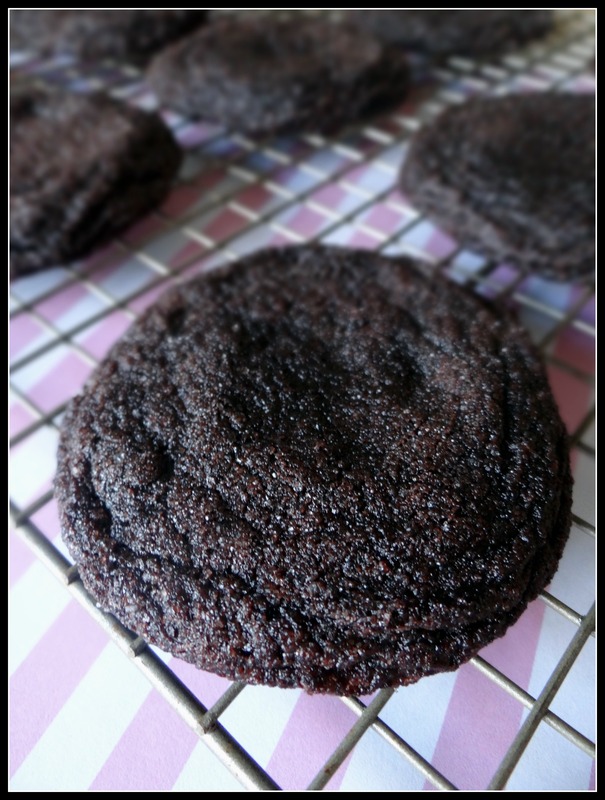 I also made the milk chocolate cookies and they were okay, but really thin. And don’t even get me started on the cheesecake blondies. Yuck! :D. Now I want some of these cookies too! !